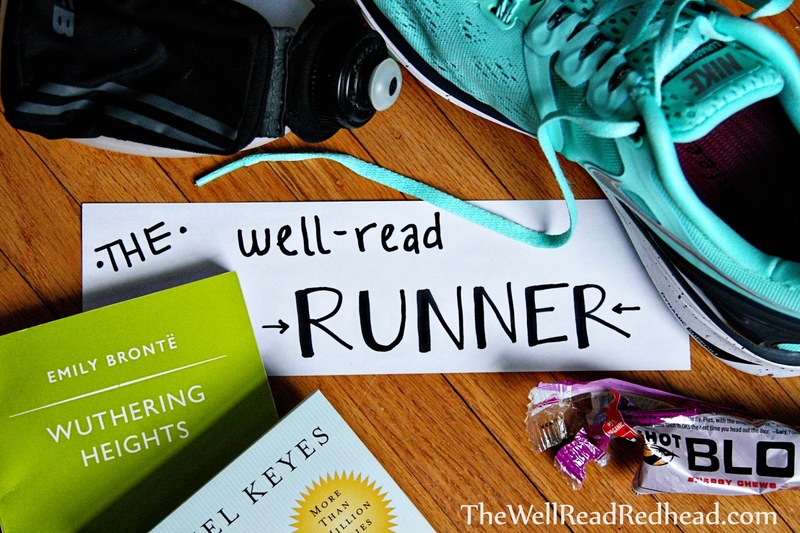 The Well-Read Redhead: The Well-Read Runner: GLCC Wavy Waters 10K Recap! Well done you! I really want to start running again but feel so lax about the entire getting up and doing it! I have gone from running pretty much everyday to not at all. I hope that you are able to get back into it soon! I have definitely had running funks over the years, where I fall out of my routine and then find it so hard to get going again. I've found that if I don't have a race on my calendar (even just a 5K) to keep me motivated, it's easy to lose focus. I am not one of those runners who can just keep going 4-5 days a week with no race goal in mind. I love my flip belt! Maybe a Mother's Day present for you? I do tie the big honking fob on my shoe, I barely feel it and I know it's secure. Awesome job today! I just ordered the FlipBelt this weekend, woohoo!!! :) Thanks, Cora! Love Luther the Anger Translator, but I'd hate to have him in my head! Congratulations on your race! He keeps me motivated...haha! Thanks! Great job on the PR and the AG! My favorite letters! Yes, I am going to have to think this out a bit more before my half marathon, especially since I will be driving myself there as well. Hopefully I'll have enough room in my FlipBelt! You are fancy! How fun was that and sounded like a beautiful run! Great job girl- have a super week! OH, MY GOSH! You had such a great race, Kelly! Congratulations! This is a great pre-race (for the half) test for you and you're going to do so well at Mystic. Isn't it funny how things just fall into place on some days and others...eh, not so much? I wish there were some way to predict when those days were going to be - ha! Kudos on a great run and keep up the great work, girl! Thanks so much for linking up with the blog; hope your Monday is going well. Thanks so much Tara! It was an excellent ego boost. I've had a few tougher training runs lately, but a race like this stays fresh in my mind and keeps confidence up.